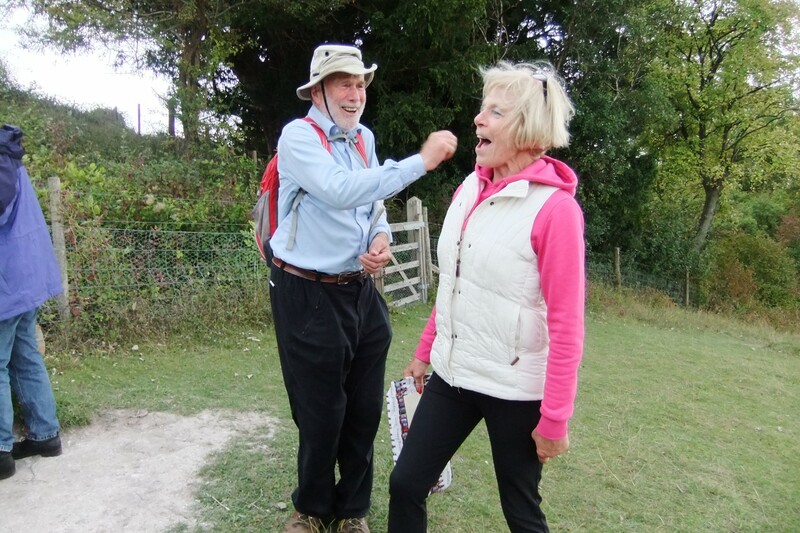 Nick's 75th Walk was an AAA walk, (an Autumnal Anniversary Amble in this case), just a few days after the occasion itself. 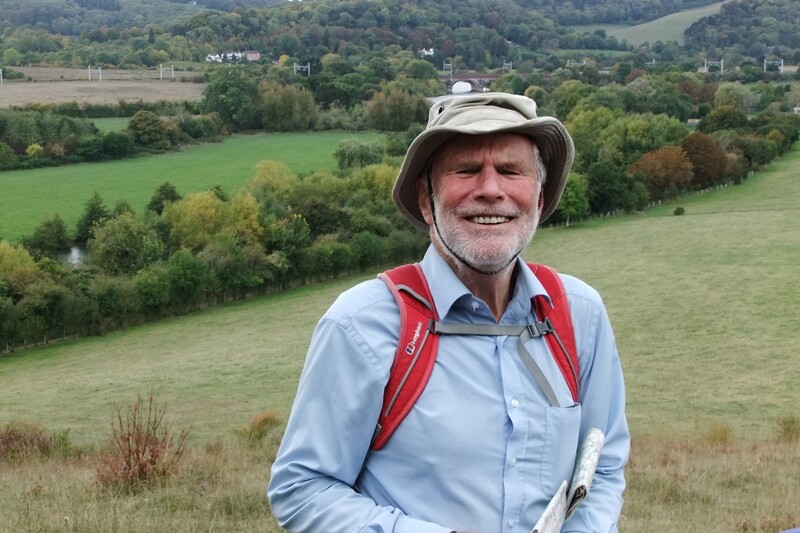 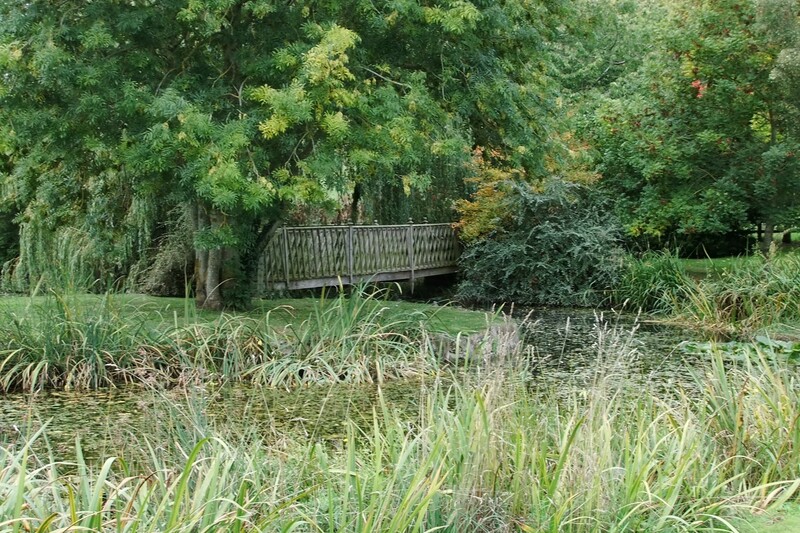 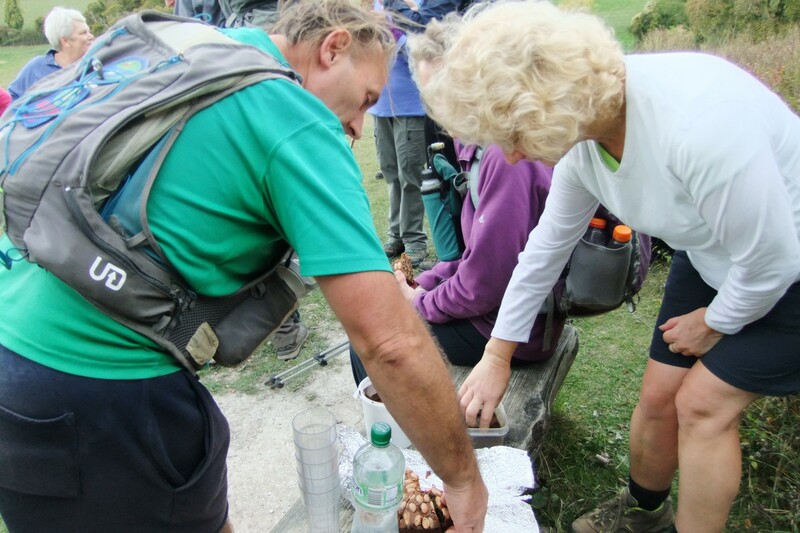 It was celebrated in style with home-baked cake brought by Nick's wife to the afternoon stop at the BBOWT nature reserve viewpoint south of Goring, with a "surprise" presentation. 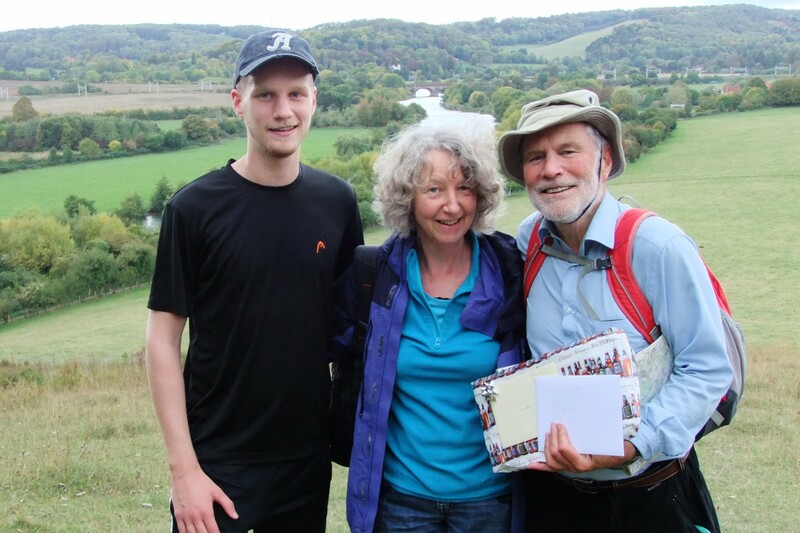 Adding to the family event, Nick's son joined us for the whole walk. 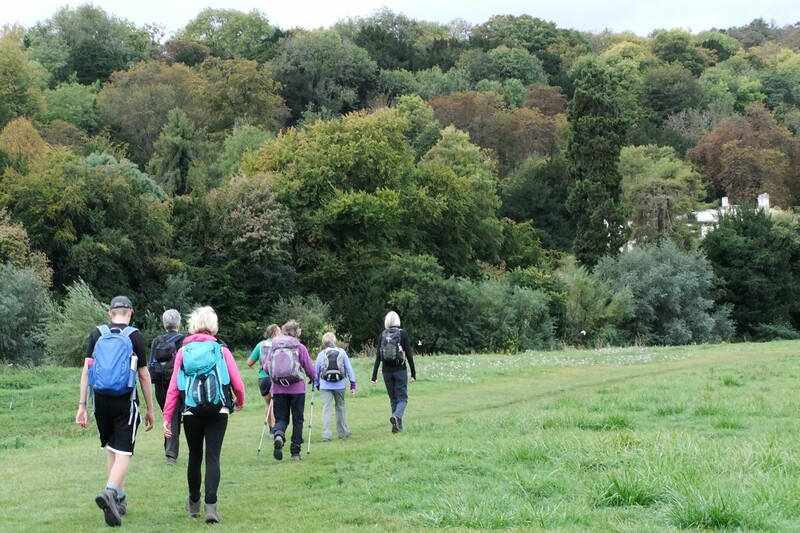 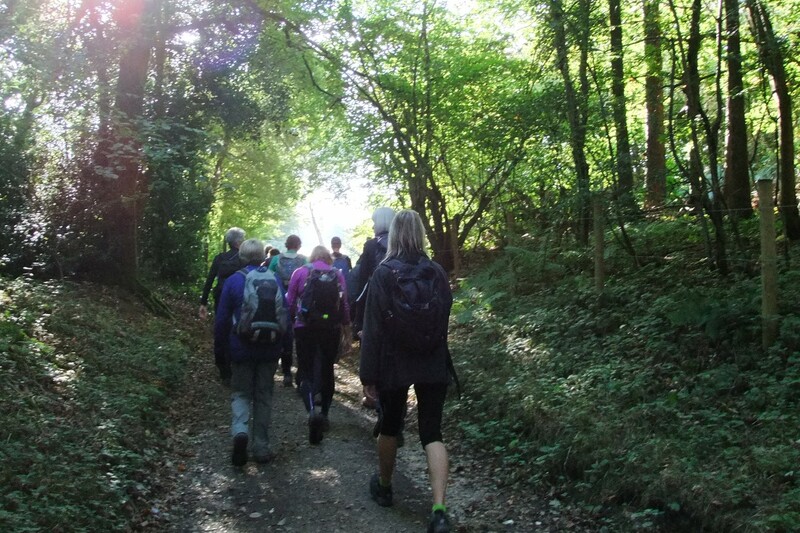 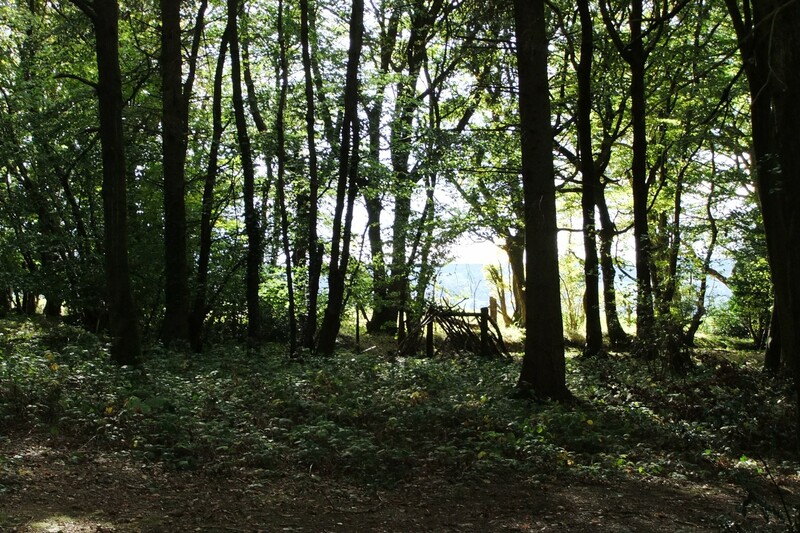 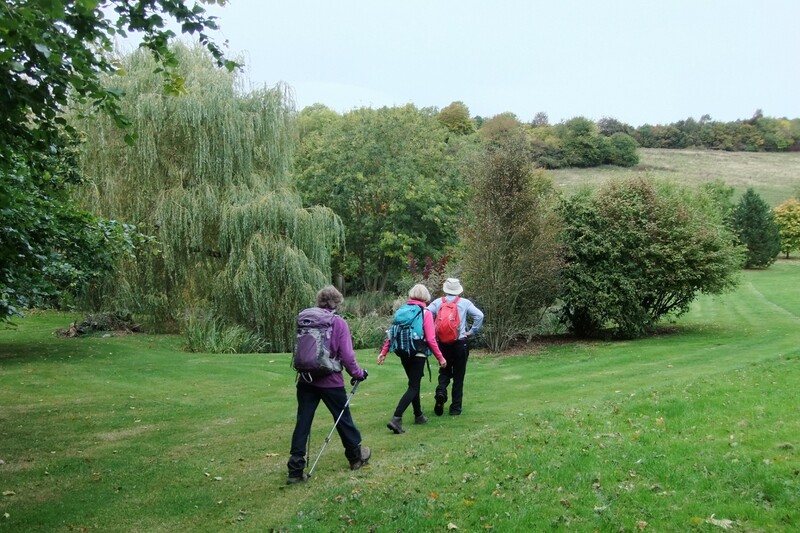 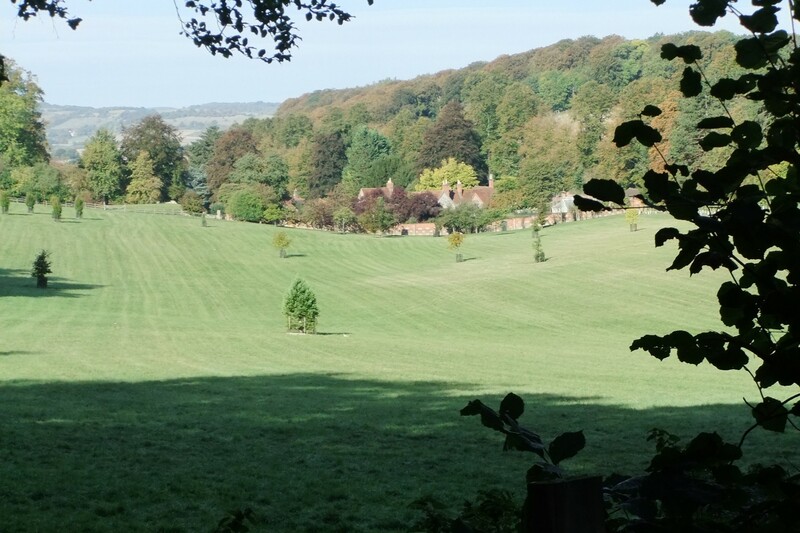 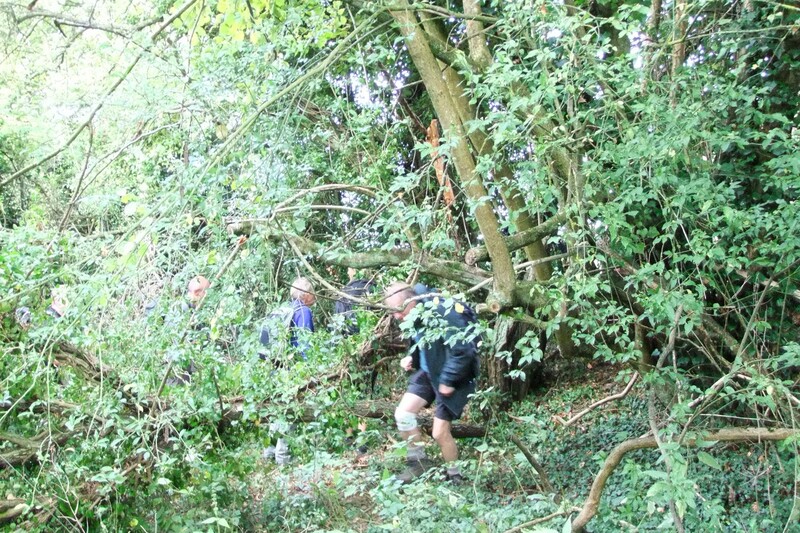 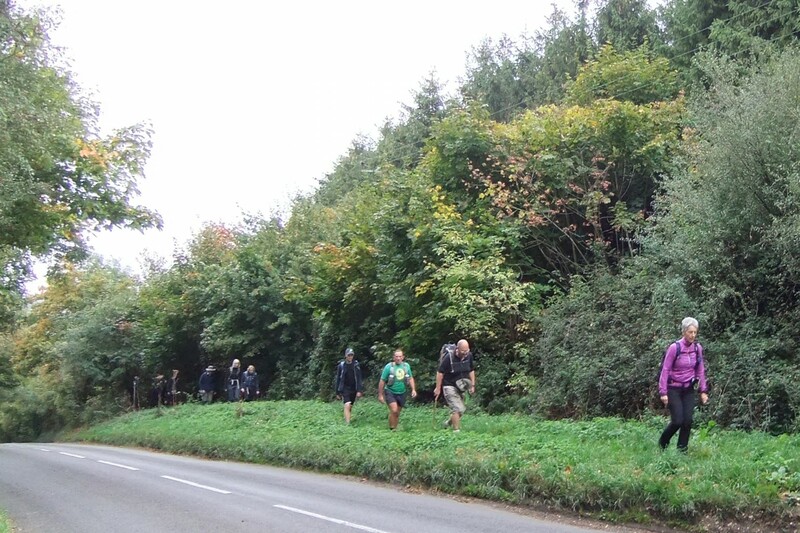 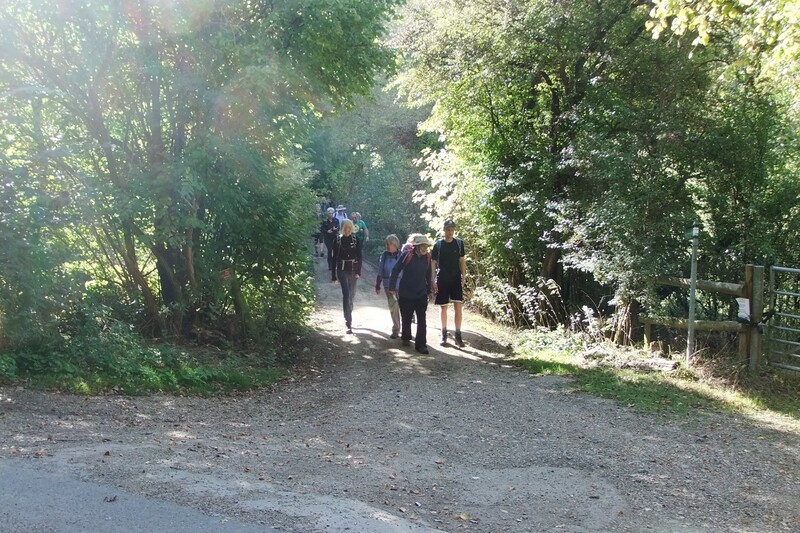 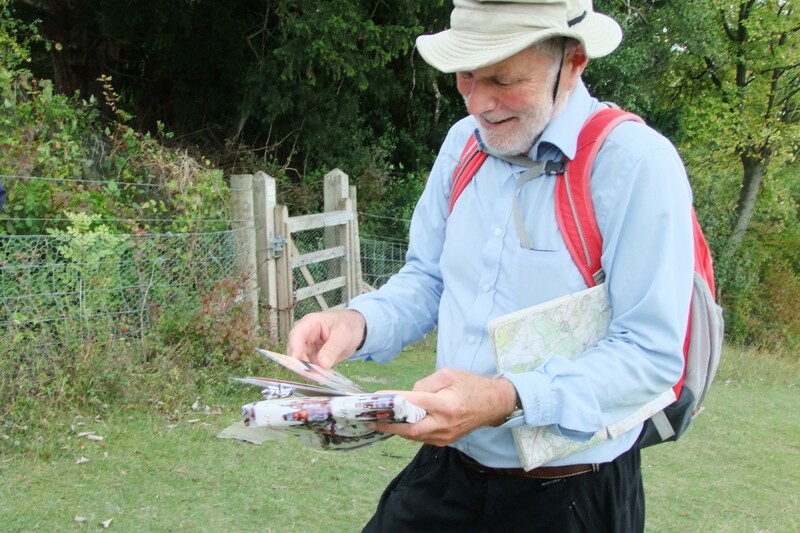 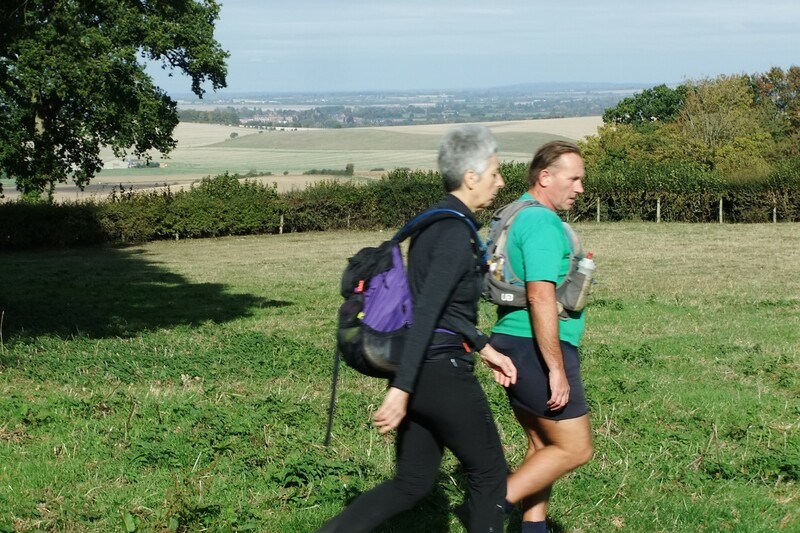 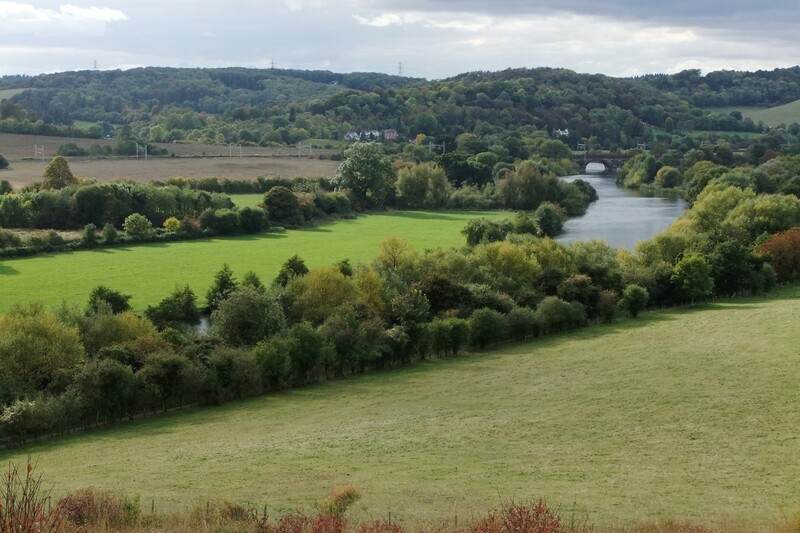 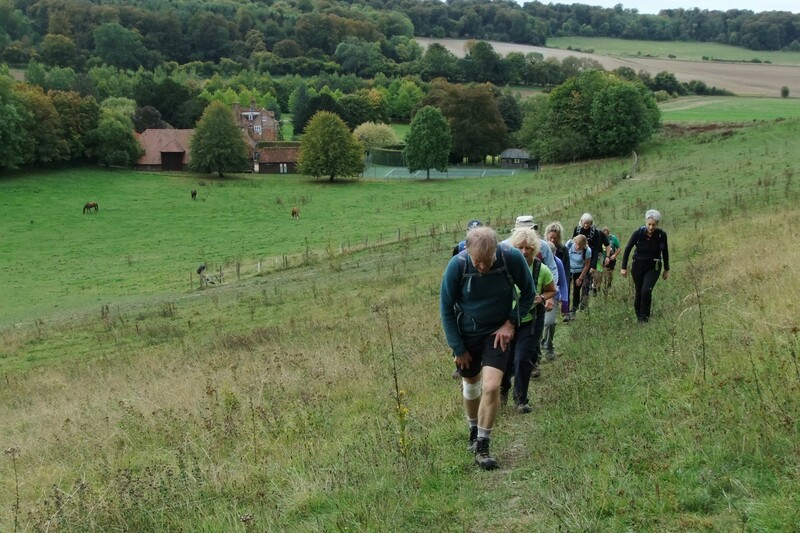 The route was 20 miles from Goring village car park, featuring sections of the Chiltern Way Extension out and back, and long stretches of woodland. 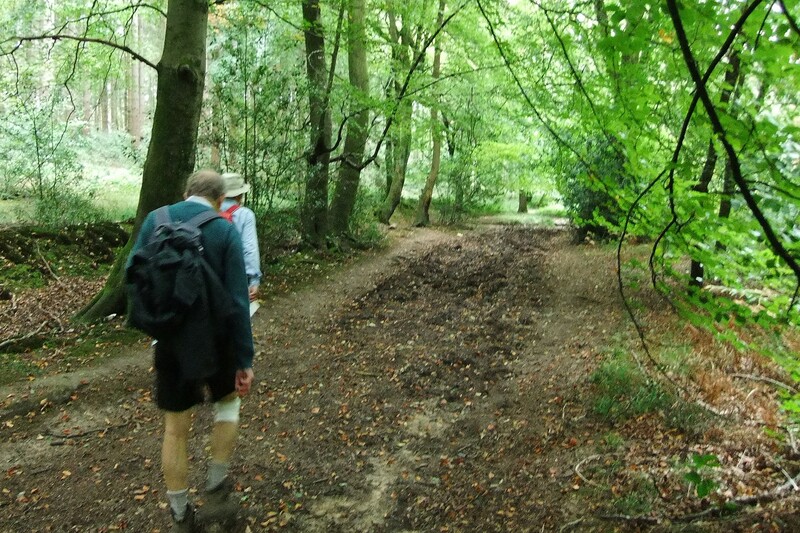 The route looped out via the Great Chalk Wood avoiding the new surprisingly robust fence with barbed wire now restricting the established path up from Sheepcot Field (it may be an unintended consequence if large groups detour through the burial ground). 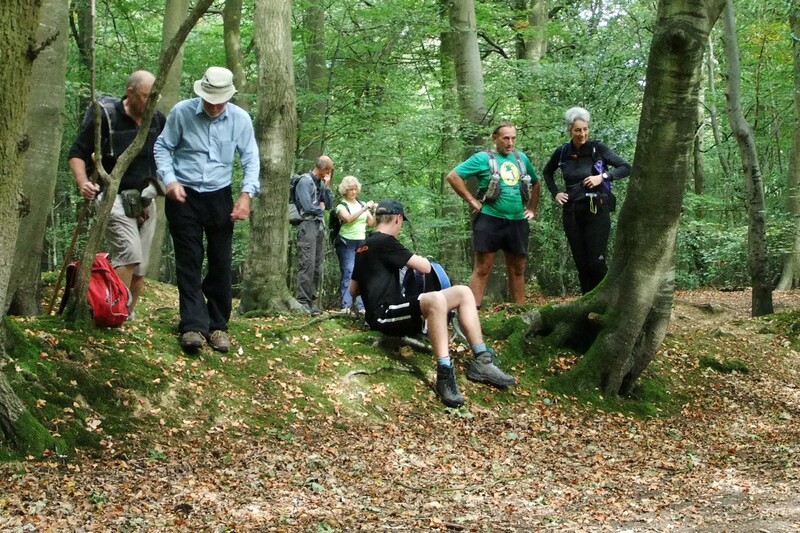 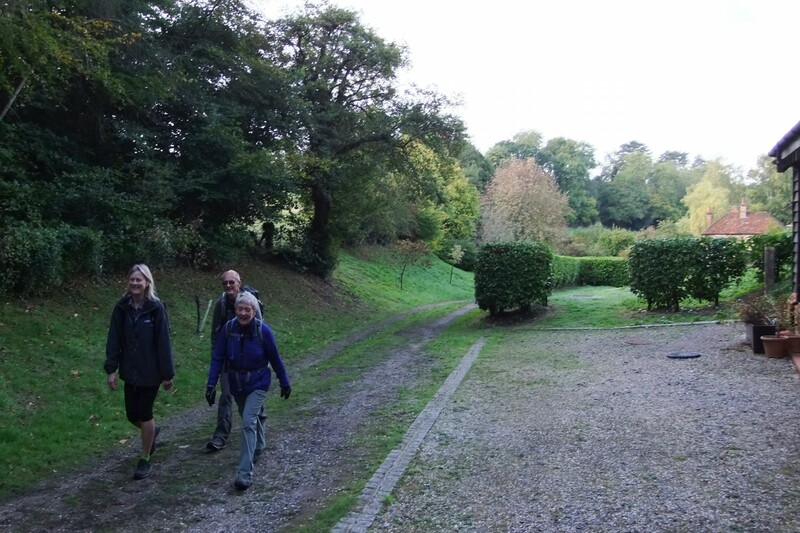 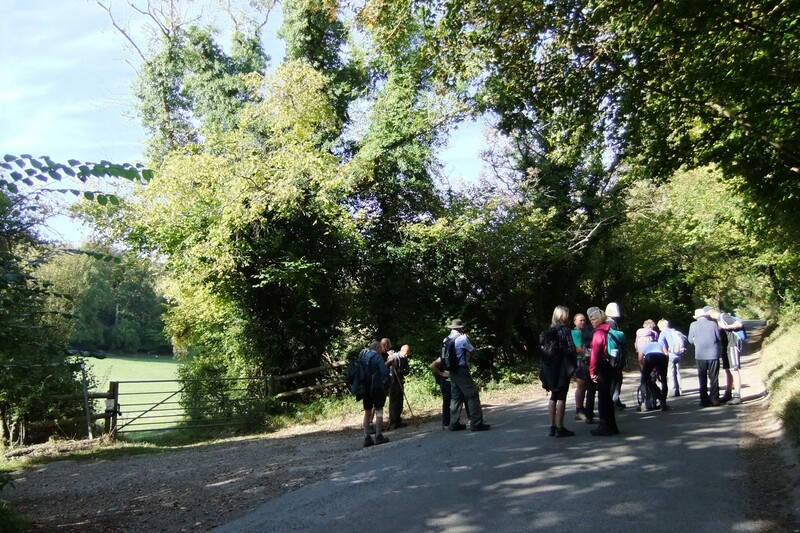 After joining the Chiltern Way Extension at Beech Lane, the views opened up and the group had its morning stop looking down from the edge of Dean Wood near Woodcote. 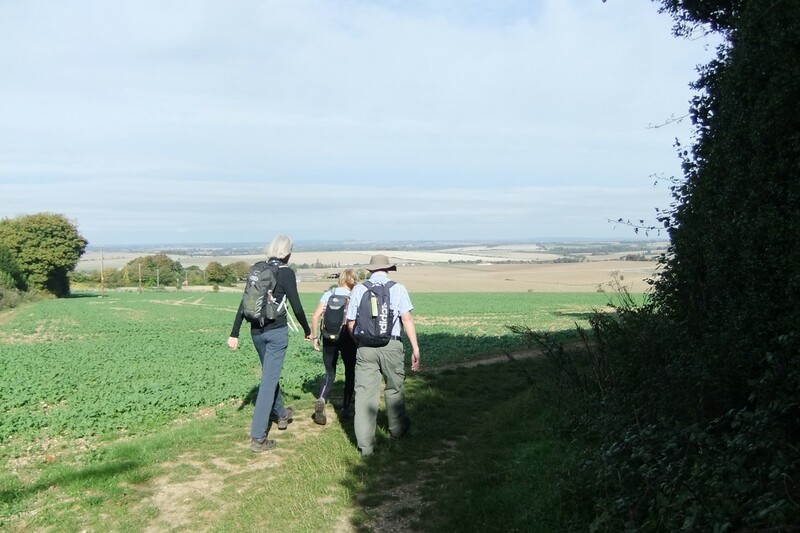 Still mostly on the Chiltern Way Extension the route led to Bottom Farm and John's Gate before heading east to Judges Road in unusually dry conditions, and Wyfold Wood for the lunch stop. 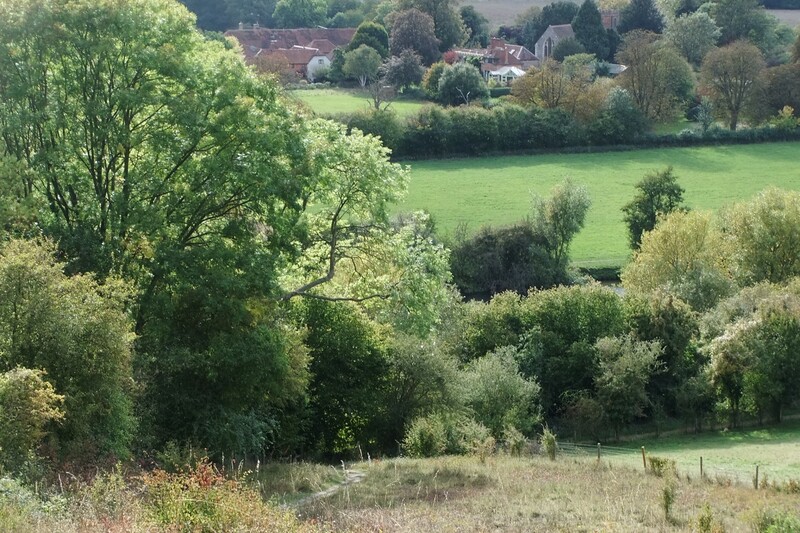 The return route was via Cane End, Nuney Green and Whitchurch Hill, later with another short section of the Great Chalk Wood. 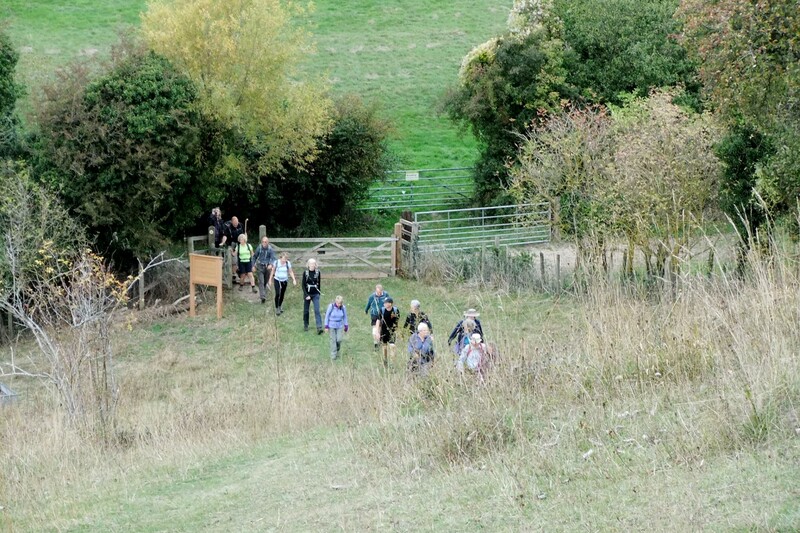 Only two miles were left after the afternoon stop at BBOWT, and the group speeded up and spread out making its way back in cooling conditions but probably fuelled by the cake too.